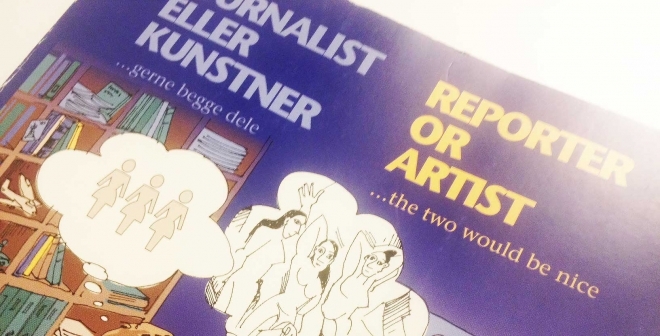 Last week, during my flight to Rio de Janeiro, I read the book “Reporter or Artist?” wrote in 1992 by Ole Munk (a great graphic designer, consultant, and lecturer, based in Denmark, who gave me personally this great gift). What impressed me is that many of the points showed in the book are still actual, even when we discuss about journalism and the “digital era”. 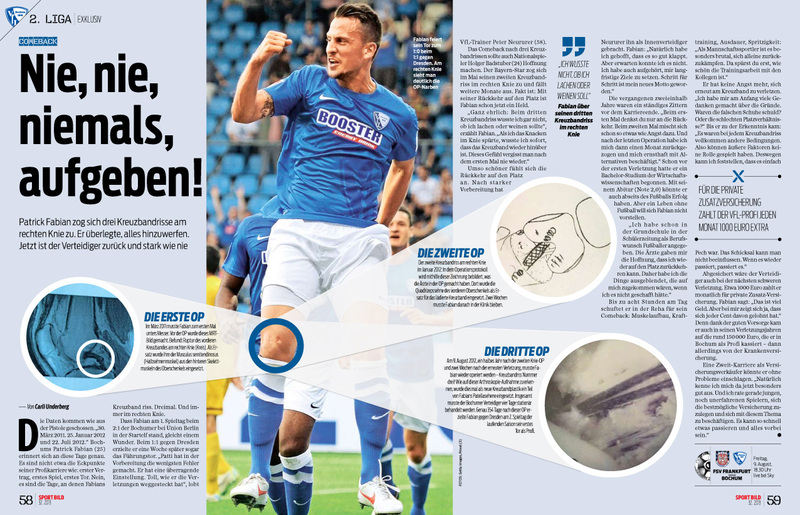 It presents results of a questionnaire that Ole sent out to 28 newspapers in order to get an overview of conditions for informational graphics in that time. The book discusses important issues, that make us understand much of the process that we are facing when so many changes are challenging newsrooms today. Things such as “graphics are journalism and not pieces of art” reminds me not only what I repeat so often in all workshops and seminars I give, but also what I have been fighting for, when it also comes to the digital world and people insist to focus on the tool and not in the content. “Report or Artist?” is a guide to understand some challenges the industry passed some time ago, and a tool to help us to learn to constantly transform ourselves to face the challenges we have now. This week I had the honor to be in one of most beautiful cities in Europe to give two seminar presentations. 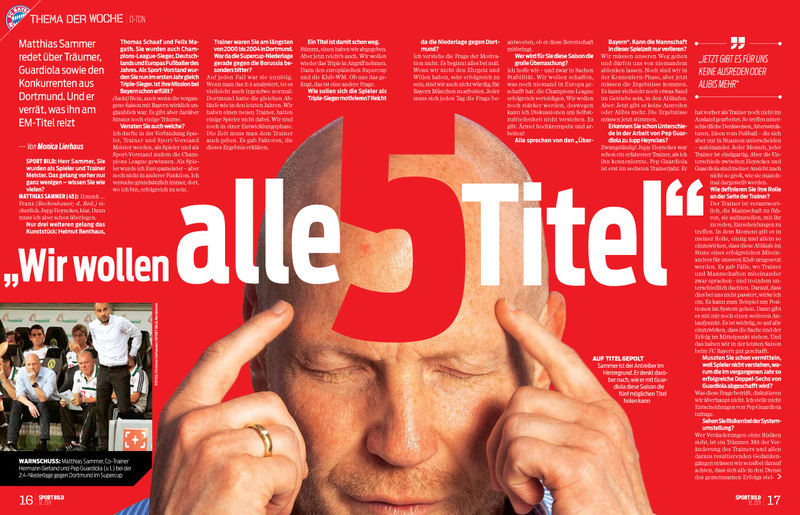 It happened in the publishing house Politiken Hus (followed with a very interesting lunch discussion with their team) and the day after, in the Danish School of Media and Journalism, by the invitation of the great news designer Ole Munk. I spoke to journalists, students, designers and other media professionals, about the power of visual storytelling and the role of visual journalist in this new era. As many who attended the seminar asked, here is a short version of the presentation with a selection of the main slides (some were senseless without an explanation behind, so I skip them). 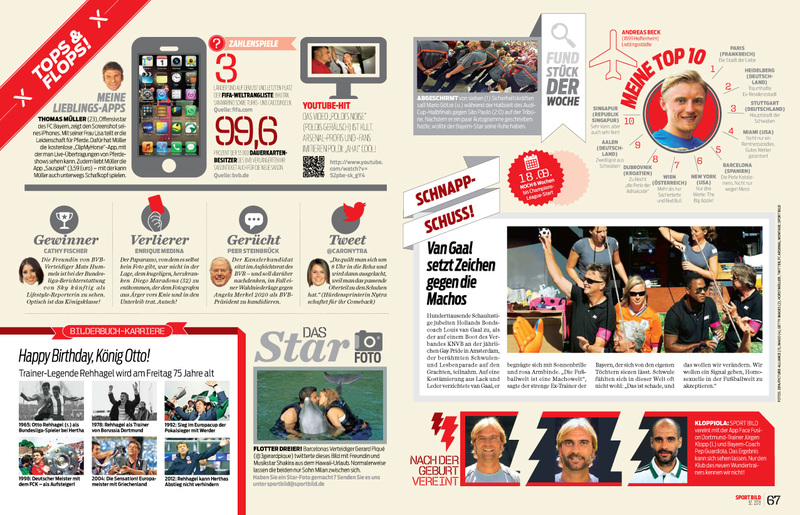 I am honored to had the oportunity to redesign and rethink the biggest european sport Magazine: Sport Bild, “Europas Nummer Eins!” (like they, proudly, say). 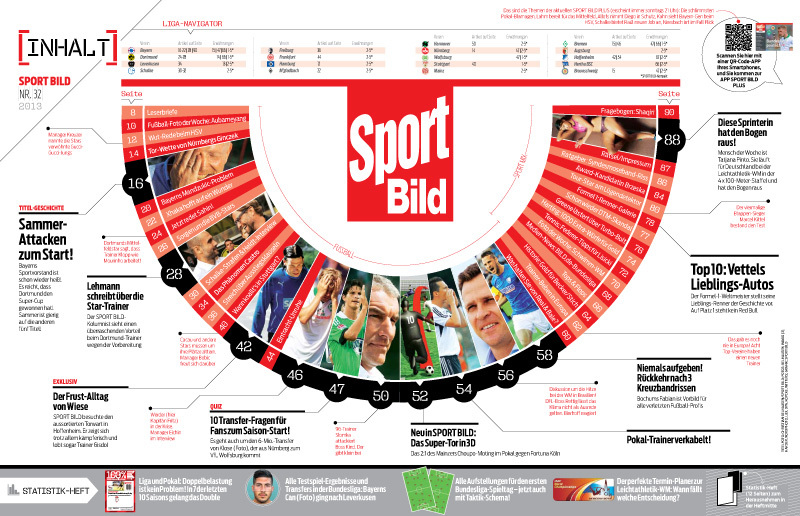 During the last months, together with the Editor in Chief Matthias Bruegelmann, we took a look at the magazine from cover to last page and analyzed sections, storytelling processes and how the power of sport content could be made more atractive, easier to find and more enjoyable to read. 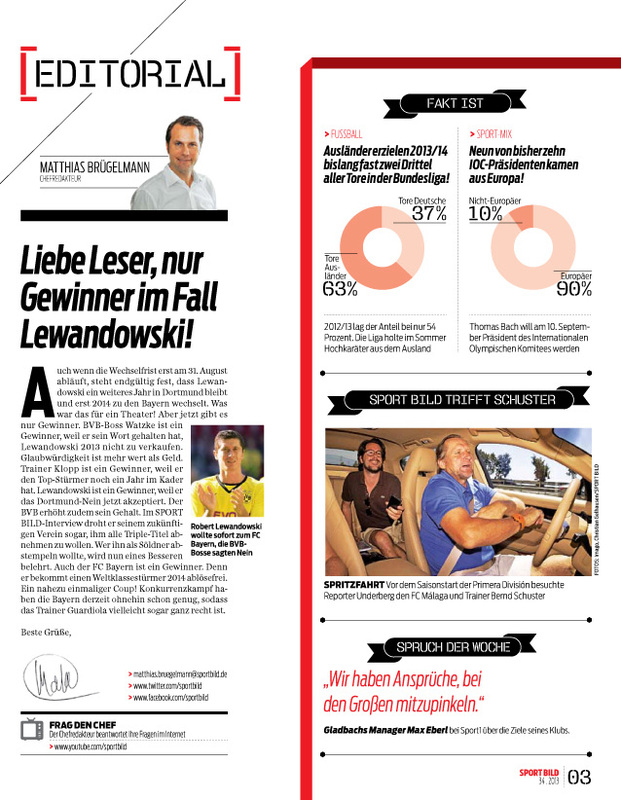 Despite of a completely redesign, the structure of the magazine was rethought and it got also new sections. In a time where readers are already full of informations and dont offer you so much time, the power of visual storytelling is a tool that gives to stories a more interesting and understandable approach (sometimes even a 3rd look to a story, that was still not explored). 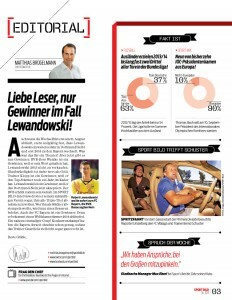 Here, some pages of the new Sport Bild. 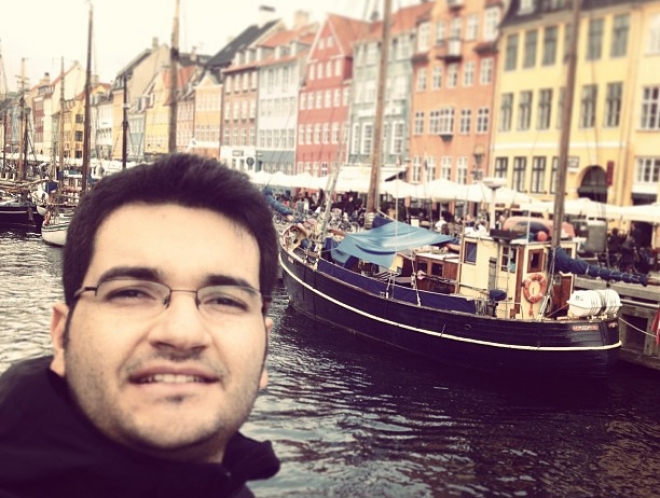 Starting with “Lessons I’ve learned”, I will mention a consulting I gave some years ago to a group of magazines from South America and Europe. 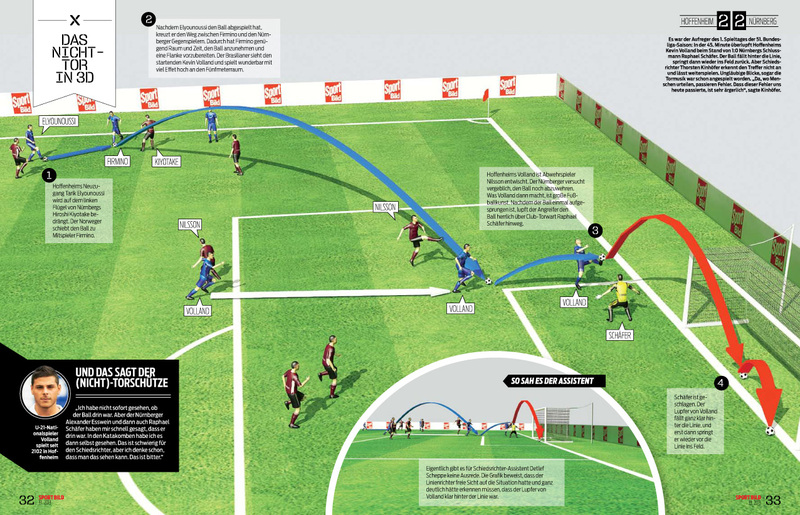 The idea was to give them a huge feedback of their publications and point out details that could be improved, since structure of the newsroom to graphic project, team, infographics…etc. Well, when I start any project, the main reason I am there is because they need something different. Times change. People change. Habits change. Products change. And of course, magazines and newspapers should also be rethought. The project started with one magazine and because of its sucssess ended with a complete change in almost all products of the group. But what I basically learned on this project was: one cannot complete a project successfully with a totally democratic approach, like presenting a new concept to as many people as possible in the newsroom and taking votes from them. The most successful projects are those in which the concept is presented to all, but the main decisions are taken together with a few key players, contributing with their experience to what they beleive that really works, and not to what the majority “like” – what can be really dangerous. Sometimes the team can only see the importance of those changes when you get the results of it. And it was what happend in this project. redesign, relaunch, consulting. lessons learned. The next days I will start a series of posts showing the main projects and redesigns I did in the last time. From conservative newspapers to popular tabloids. 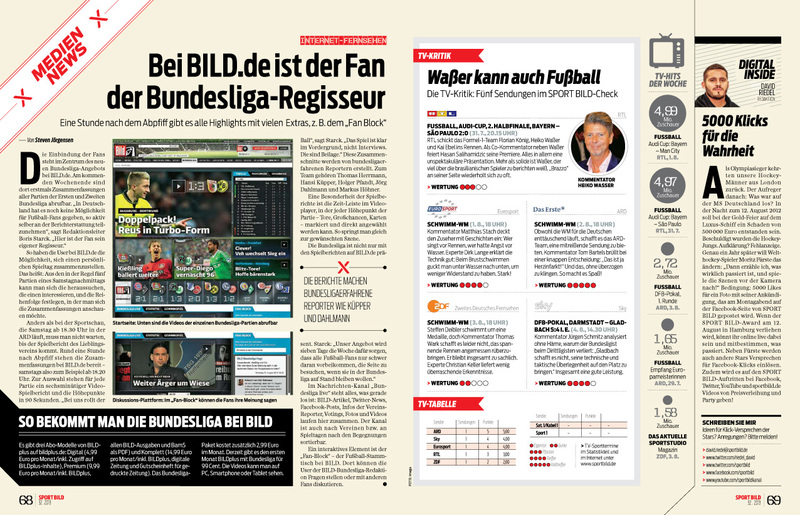 From magazines to digital editions. The results and lessons I took from each project. #comingsoon! 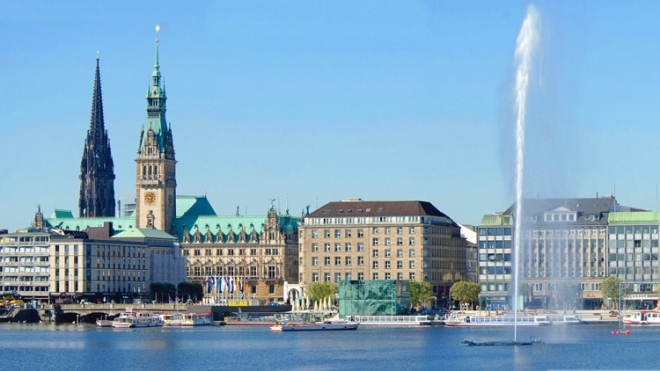 Its a sunny day in Hamburg (Germany). 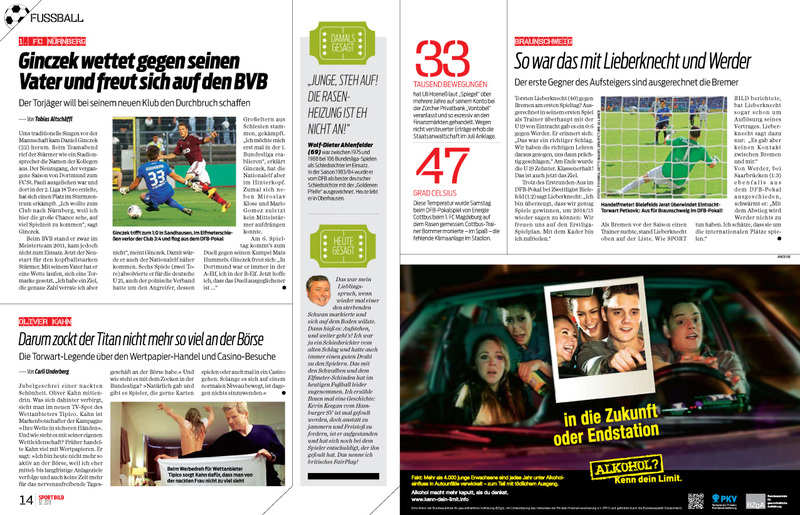 I just started a “re-lunch-project”of one of the biggest magazines in Europe “of its segment”. 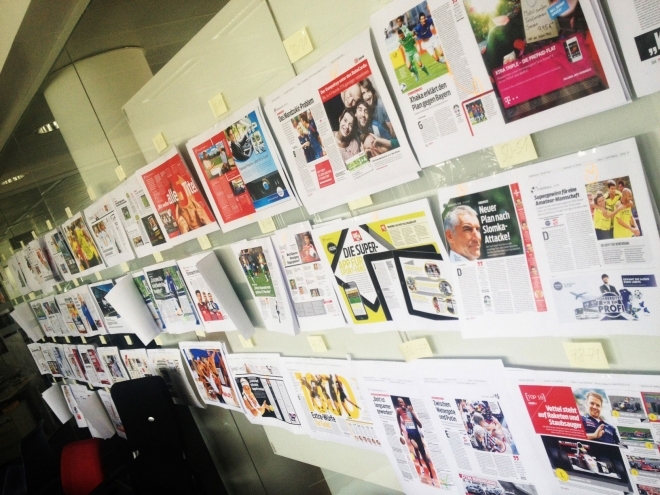 Many people would call it redesign, but for me this word can not describe the reason I came into that newsroom and what I am doing there. Actually, the project started weeks ago, with a long conversation with the Chief Editor to understand not only the DNA of the product but its philosophy and how its audience get the information across platforms. I get always excited when I see an Editor passionated about the publication he is doing. Not only great ideas came out but many points that could be improved were identified. Of course the redesign is an important topic in the project. But without rethinking the whole publication and the way we are presenting stories, it would probably be only a new package and not a better product. Well, the fun is just getting started! This week I am in Rio de Janeiro. 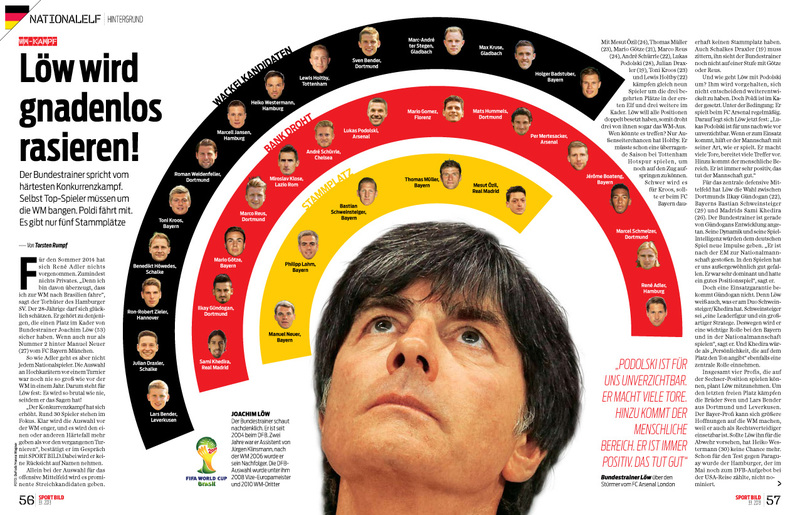 But the most creative front page of all brazilian newspapers today comes from Brasilia. Correio Braziliense, one of the most traditional newspapers in Brazil (where I had the honor to work as Art Director last year) dedicates its first page for an idol of Brazilian music scenery, Renato Russo, and one of his most famous songs that now will become a movie. 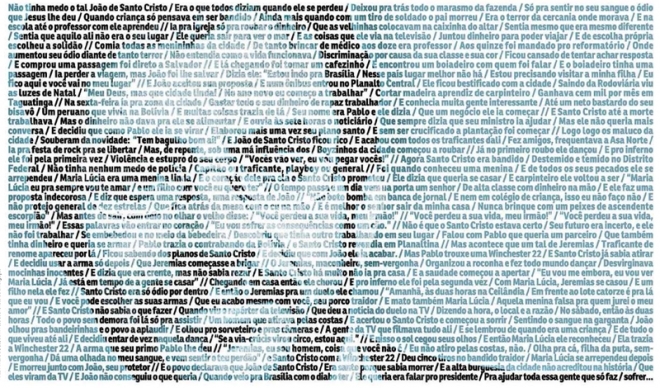 Great to see Correio keeping its tradition for great and creative covers. Congratulations to Ana Dubeux and her team. “IAC is sending out inquiries to prospective buyers who may be interested in purchasing the 80-year-old title, which ended weekly publication of its domestic edition late last year in favor of an digital-only format. In the next years I would like to avoid discussions like: “Will newspapers survive in the next 10 years?” Instead of that I would rather prefer to rethink the way we are telling stories and how to make our products (print and digital) more integrated and attractive. For me, today, only one thing sure: Publications must capitalize on its brand, and for this we should keep our products in a very high level of innovation. On the 11th September I will be in Copenhagen to give a seminar-presentation about “Visual Storytelling” at the Danish School of Media & Journalism. 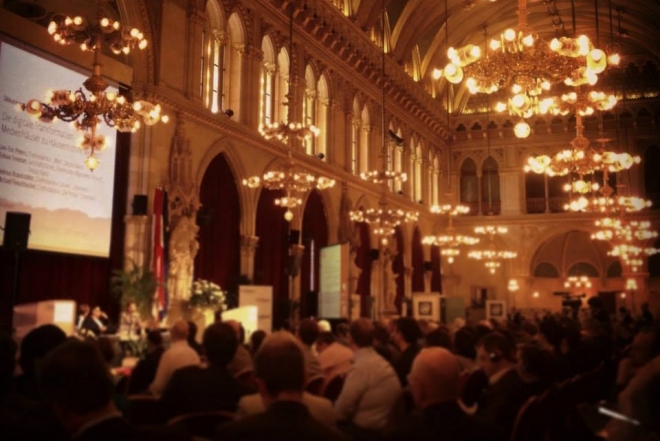 → This weekend I will take part of the “European Newspaper Congress” that will happen in Vienna, Austria. In the next days I will post updates from there.